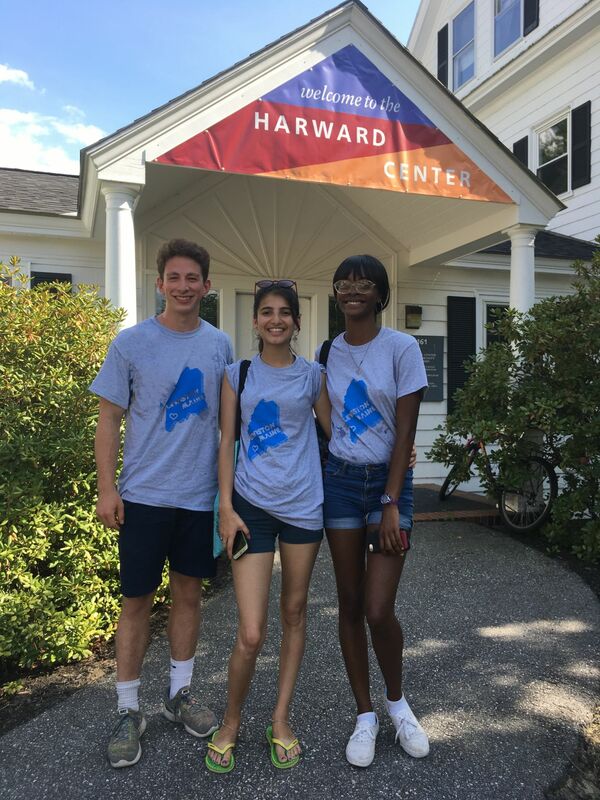 Welcome to the Harward Center for Community Partnerships at Bates! Our home community of Lewiston, Maine, has long been a city of weavers, a place where bedspreads, woolens, and other textiles were made. It is an inspiring image for our work here at the Harward Center. Our mission is to weave together campus and community for the enrichment of both liberal education and public life. We seek to weave the resources and concerns of our community into the Bates educational experience and onto the Bates campus. And in the process, we seek to educate students who can themselves weave together their learning, personal growth, ethical values, and public action for the common good. In pursuit of these goals, we work with students, faculty, staff, and community partners from both the local Lewiston-Auburn community and beyond. We support community-engaged learning and community-engaged research as part of the Bates curriculum. We sponsor diverse volunteer and work-study opportunities. We offer grants and other support to students, faculty, academic departments, Bates staff, and community partners. We hold discussion groups, forums, and other events where campus, community, and national voices come together to discuss, analyze, and deepen the practice of community partnership and academic civic engagement. This website is a guide to who we are, what we do, and what we stand for. It gives information about our events, activities, and grant programs; it is full of photographs and stories, sidebars and slideshows, offering you a flesh-and-blood sense of community engagement at Bates. Come explore, whether you are on campus or from away. And after you browse online, come visit our home at 161 Wood Street. Bring your ideas.